CDW, a Cisco Gold certified partner, learned this week that it achieved the newest of Cisco’s Master Specializations, in networking, making CDW the first Cisco channel partner in the Americas to hold all five Master Specializations that Cisco offers. The other Cisco Master Specializations are security, collaboration, data center and hybrid cloud, and cloud and managed services. Master Specializations are Cisco’s highest and most exclusive level of partner certification, attesting that CDW has made significant investments of time and resources to obtain expertise in the subject technologies and solutions. To receive the Cisco Master Networking Specialization, CDW passed a rigorous Cisco review of its architecture and solutions delivery capabilities that support Cisco’s intent-based networking solutions, as well as an audit of related business processes and results. CDW employs more than 1,600 Cisco-certified solution specialists, and has earned 100 Cisco Certified Internetwork Expert (CCIE) certifications – one of the highest technical certifications offered by Cisco. Learn more about how CDW helps customers evaluate, architect and deploy the latest intent-based networking solutions. 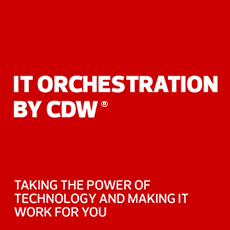 Master Specializations are Cisco’s highest and most exclusive level of partner certification, attesting that CDW has made significant investments of time and resources to obtain expertise in the subject technologies and solutions.